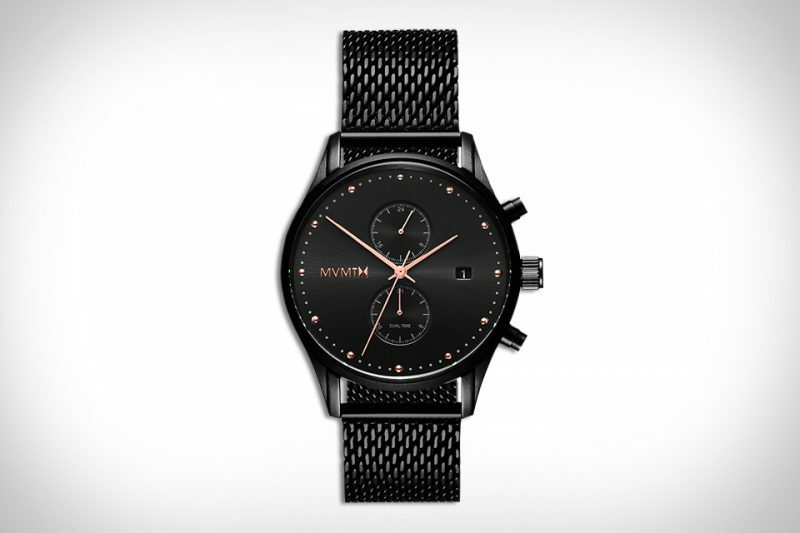 What do you get when you mix a Miyota movement with the blackout stainless styling prowess of MVMT? You get the Slate Black Rose Voyager. This watch features some subtle yet classic highlights, including dual time subdials, a black stainless mesh strap, and rose-colored accents. 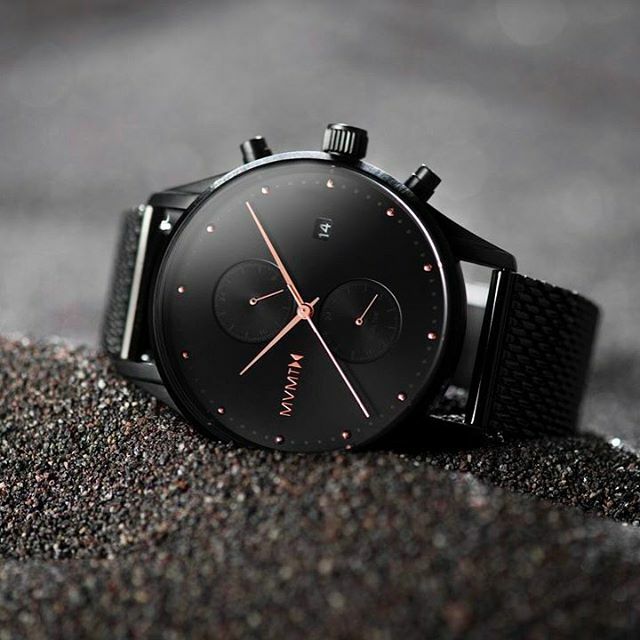 Unlike most black out pieces, this one is easy to read and even easier to customize thanks to a wide array of options, including 40mm, 42mm, and 45mm cases, and both classic and chrono configurations. Cool, calm, classic, mysterious, and motivated… this is the motto of every great watch. Get more details here.